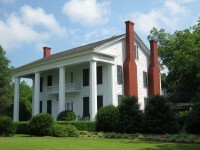 Barton Hall (also known as the Cunningham plantation is in Colbert County, Alabama. 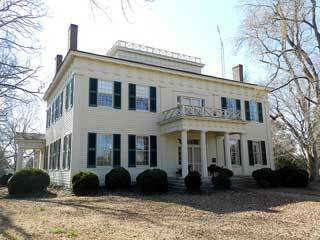 It was built in the 1840s for Armstead Barton, the eldest son of Dr. Hugh Barton, who was one of ten children. 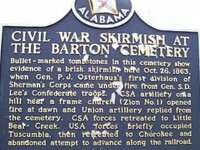 Armstead Barton was a former merchant who owned a store in Tuscumbia and was friendly with the Chickasaws in the area. 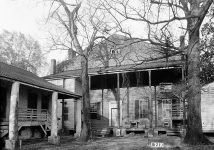 The home was built in the former town of Buzzard Roost for twenty-five thousand dollars besides the labor done by the slaves of the plan who cut stone and timber for the house. 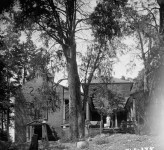 In Two Hundred Years at Muscle Shoals written in 1935, Nina Lefwich states the following about the house. 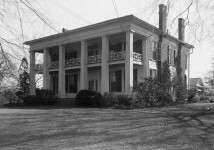 About 1840 Mr. Armstead Barton built his mansion down in the “Nation” on the Natchez Trace, near the town of Buzzard Roost. 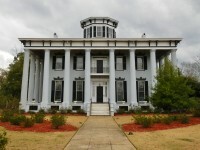 The old mansion still standing is two stories high with roof garden which was used as an observatory for watching the negroes on the plantation. Underneath is a solid stone foundation. 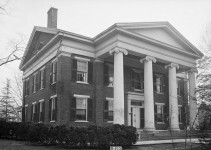 The porch is of solid stone with large columns extending to the second floor. 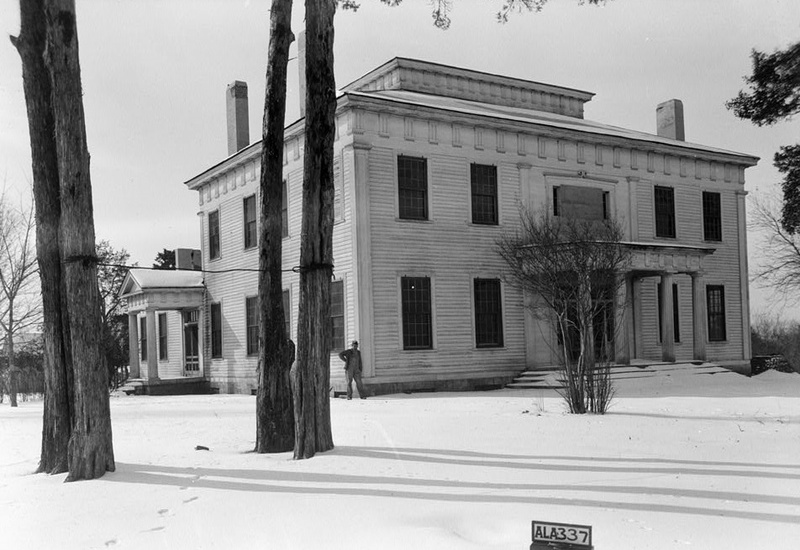 The floors of the double parlors and hall are of solid black walnut, and at the time they were laid were two inches thick; but when the home passed out of the hands of the original owners these planks were removed, sawed in two, the one inch planks replaced and the other half sold. The floors in these rooms were laid “log cabin style” and were very attractive. The windows for these rooms cost $100 each. 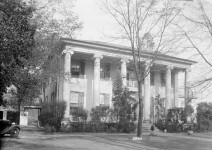 The timber for the mansion was selected in Mississippi and was drawn by oxen for a distance of two hundred miles and sawed by hand. Around the walls of the double parlors was a molding of pure gold leaf, which also was removed long since. There was a double winding stairs leading to the roof garden. 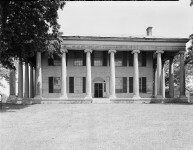 In its original state, the home had a very large and beautiful lawn with box-bordered walks to the gate, a distance of a quarter mile, and drives on each side shaded with cedars. 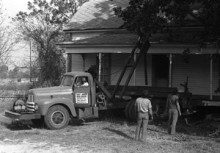 At the rear was a barn large enough to accommodate fifty horses. The vegetable and flower gardens were in keeping with other surroundings. The orchard containing all kinds of luscious fruits covered twenty acres of land. 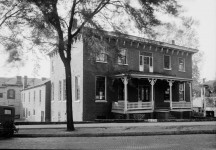 In 1916 alterations and additions were made: a sleeping porch built; two bath rooms, and divisions of ell rooms, making kitchen, breakfast room and butlers pantry of one; school, bath and linen closet of the other. 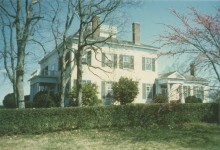 The home was declared a National Historic landmark in 1973 and is privately owned and not open to the public. 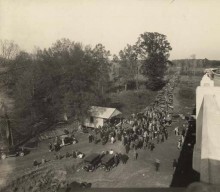 The film includes photographs taken prior to its restoration in the 1930s. 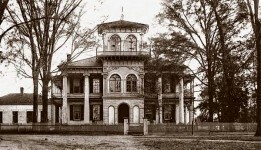 Photographs of the home today can be seen at: Historic Properties. 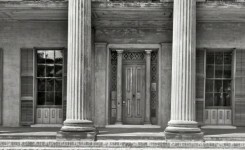 Barton Hall absolutely beautiful, I would love to here about any spirits abounding in such a historic location.